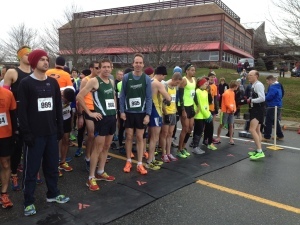 It was a great day for the 2014 Newport Pie Run, and there were plenty of NRA faces in the crowds. Thanks to Murray for the following pictures. Go to this site to see more photos from this race. http://ribird.org/pierun2014/ Photos taken by Paul Letoile. 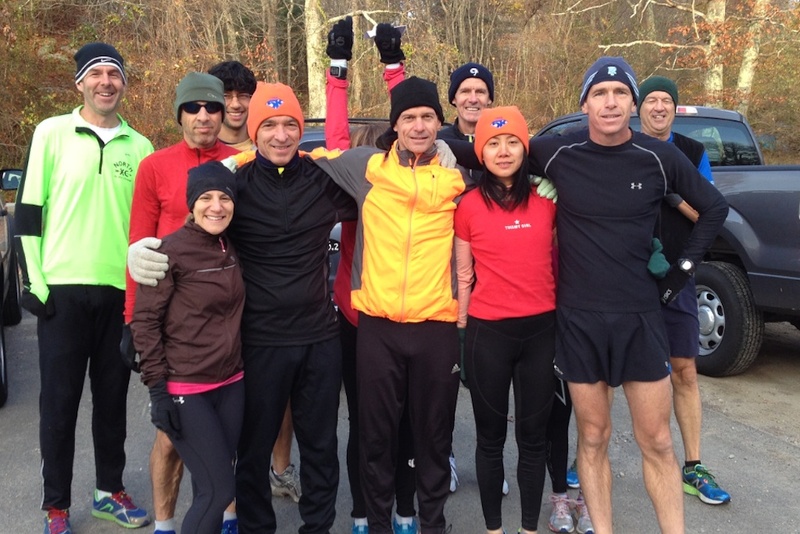 Sunday 16 November 2014 in Exeter, RI. Narragansett Running Club members gather at Sophie’s Cafe off Rte 2 for 14 – 17 mile run. The course included scenic woods, stone walls, dormant farm fields, and overcast skies with a starting temperature of 28 F with wind. The out and back loop ran over hill and sale on Mail Road, Liberty Road, portions of the Noose Neck course / dirt road hill, Sutherland Road, and back. Water and Gatorade was placed at miles 4 & 11. Thank you Mike Tammaro. Mike also marked the course with phosphorescent yellow paint mile markers. Refreshments were enjoyed by all at Sophie’s Cafe. Claire Gadrow brought her new puppy, Pearl, and her adult dog, Stella with her coat. Temperature at the end of the run rose to 39 F. Snow was still present on some roof tops in heavily wooded areas. 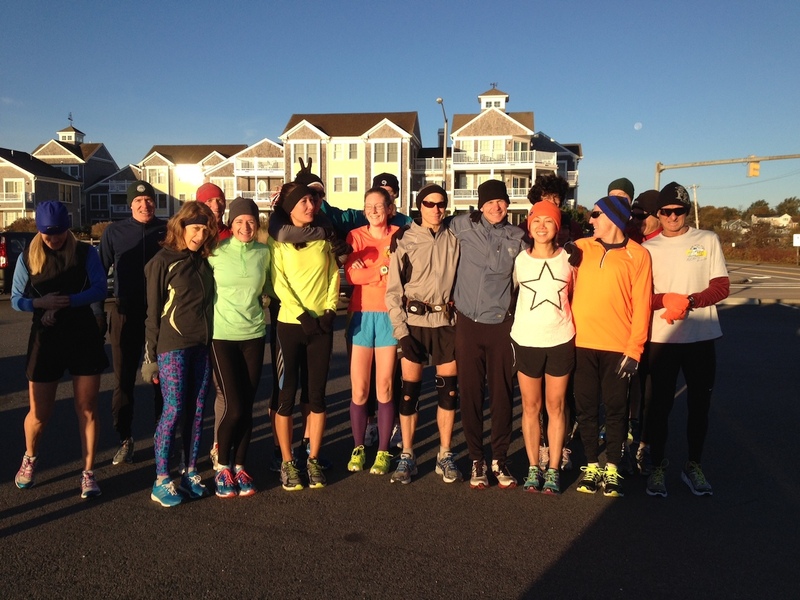 Thanks to Murray for this photo of a large group of NRA folks who are getting ready for a long run from the beach. 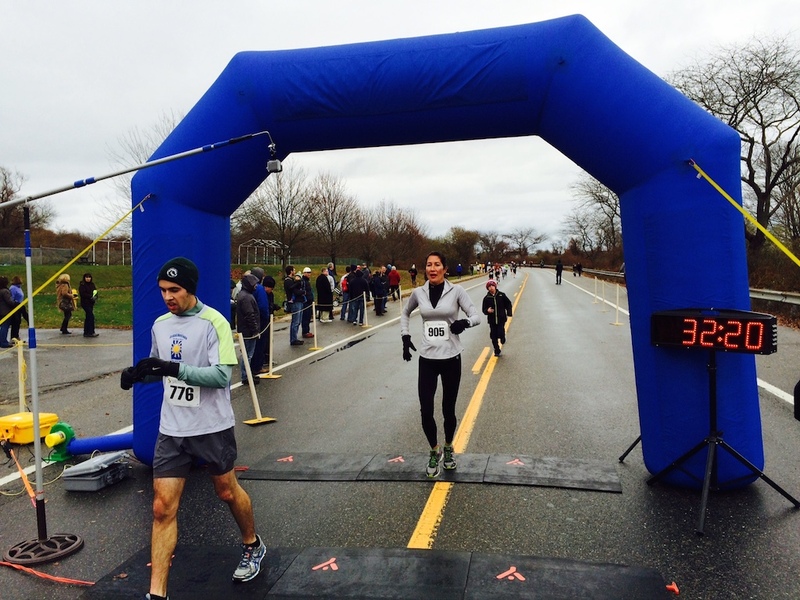 Elizabeth Marchetti finished the Cape Cod Marathon on a tough day in 3:47:49. Way to go Elizabeth! Diane Senecal came in under 3 hours to win her age group at the Hartford Marathon. Those 6am runs, hard work, and perseverance paid off. Well done, Diane! Also in Hartford, Keven O’Neil and Mary Camire won their age groups in the half marathon, and Kaela On’Neil was the second female finisher in the 5k. 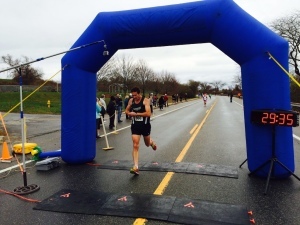 In the Newport Marathon, Brian McNeiece finished third overall. Congratulations Brian! inaugural M.A.R.C.S. 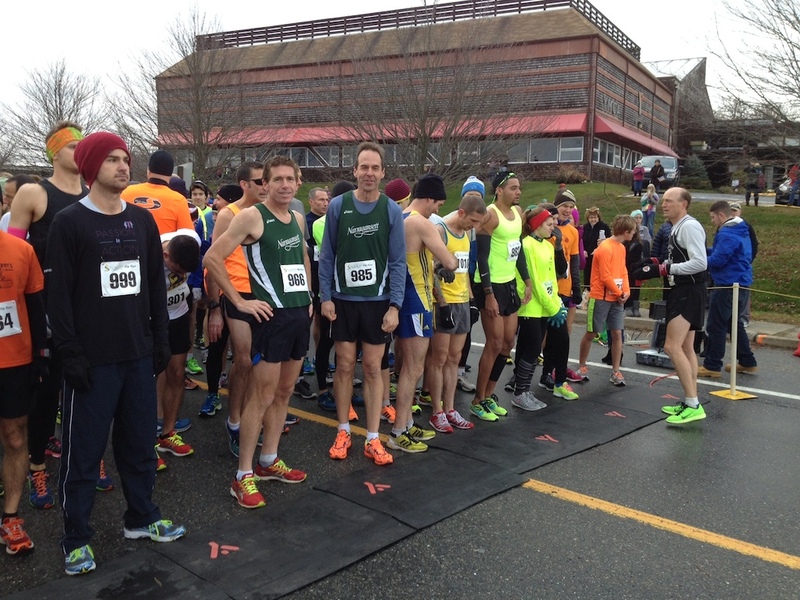 5K Run on the URI Campus. Great job Jeff and Mike! Summary of races results including NRA Friendlies.